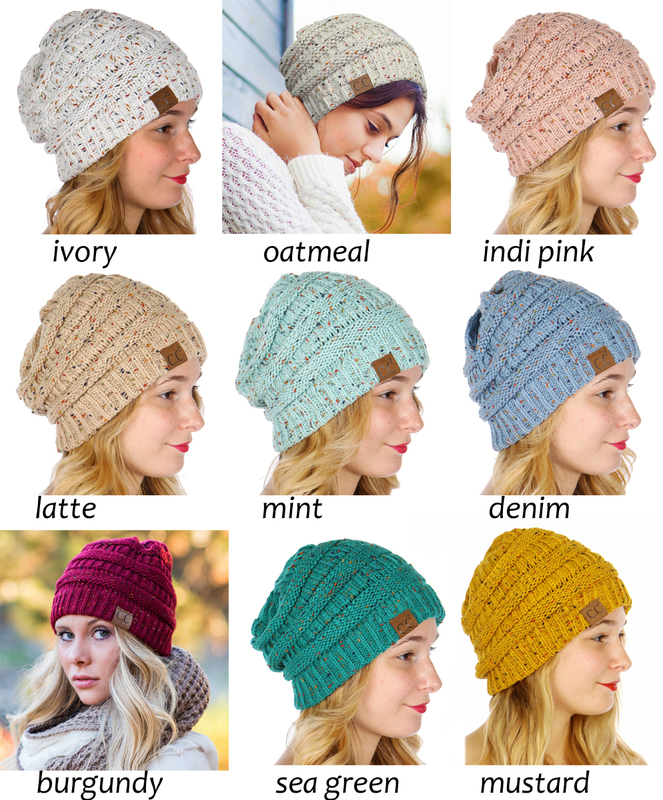 Our new favorite find for fall and winter 2018 plus new colors! 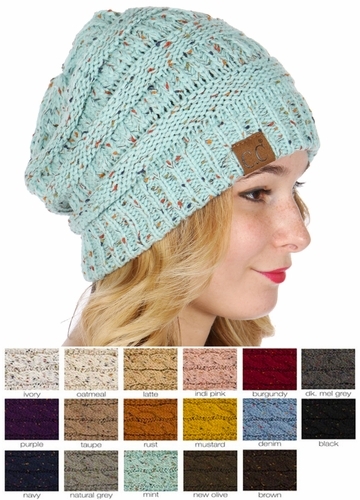 - warm and stylish beanie knit hats from CC brand. These high quality acrylic confetti knit beanie hats are soft and come in fabulous array of colors. 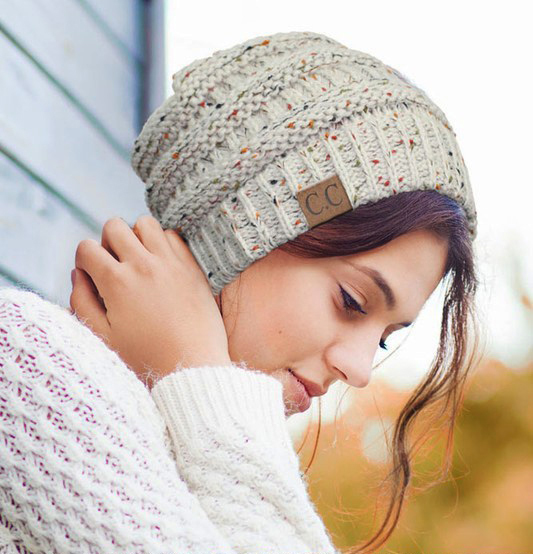 Brand: CC Brand Beanie Hat. All of the colors are available in matching Confetti Scarf and Confetti Gloves! Can't decide? 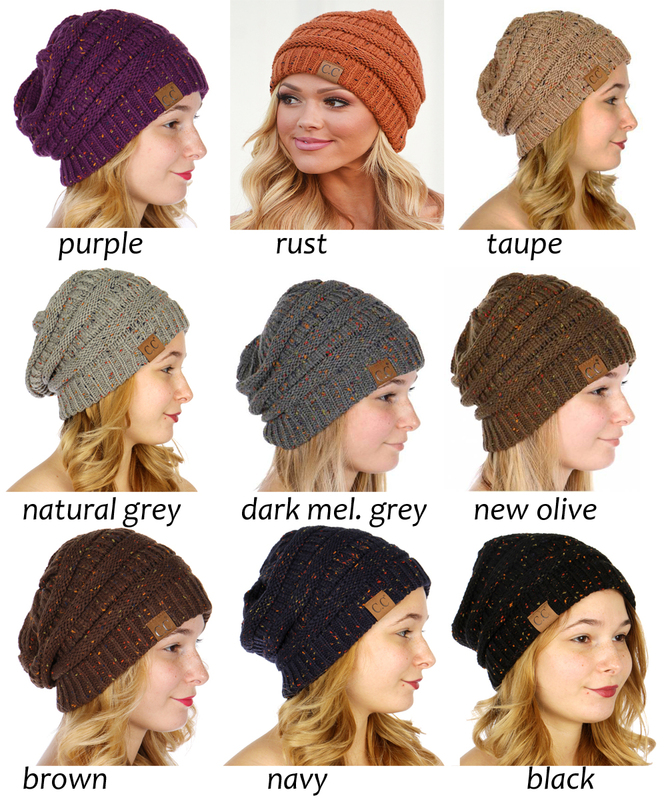 Detailed pictures of every color available in Confetti Knit CC Beanie Hat are in our CC Hats by Color section.